Whatever it is that the engineers are drinking in Sant’Agata right now, we want some. 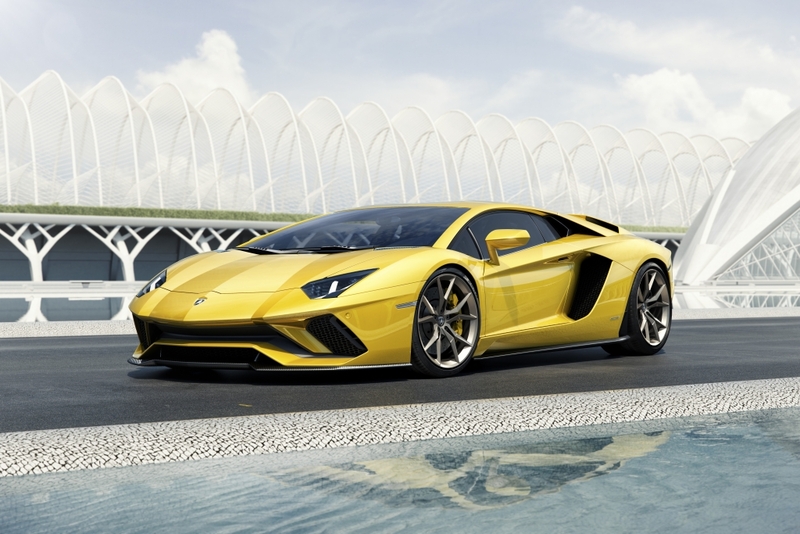 This is the new Lamborghini Aventador S, the latest addition to the Italian manufacturer’s eye-catching range of supercars and one that packs a 740hp V12 punch. That’s right, while most other supercars are submitting to the temptations of turbocharging, Lamborghini is sticking with a snarling naturally aspirated engine for its latest V12 offering. 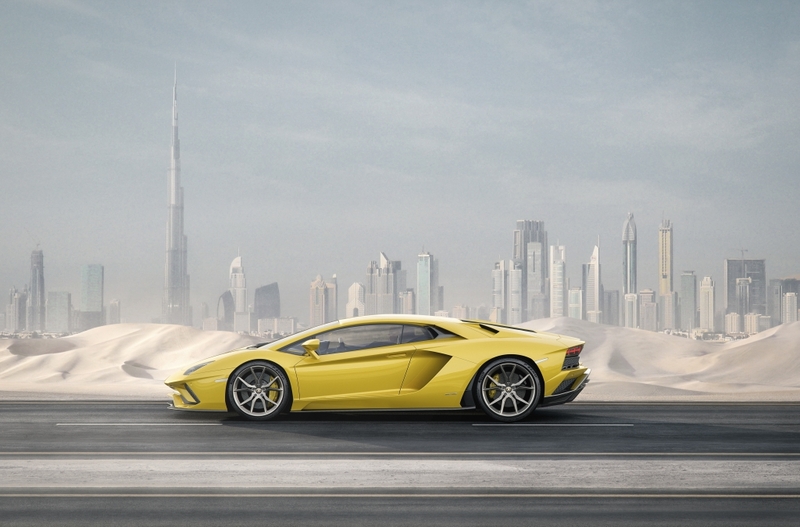 Replacing the standard Aventador, the new S – landing with the first lucky customers in Spring 2017 – develops an extra 40hp from its 6.5-litre powerplant, allowing it to sprint from 0-62mph in just 2.9 seconds. That extra power comes thanks to some internal trickery and allows the 2017 Aventador S to top out at a ludicrous 217mph, the same as the equally outrageous ‘Super Veloce’ variant launched earlier this year. To temper this raging bull, Lamborghini has stuck with the Aventador’s torque vectoring four-wheel drive system (allowing it to transmit up to 90 per cent of its power to the rear wheels) while cog swapping is the job of a seven-speed ‘Independent Shifting Rod’ (ISR) transmission capable of 50-millisecond gearshifts. The biggest changes on the Lamborghini Aventador S however come in the chassis and aerodynamic departments. The more aggressive front end styling not only gives the Aventador S a more muscular look (as if it needed one) it also improves the airflow, generating 130 per cent more front downforce. At the rear, the active rear wing has been optimised, providing up to 400 per cent more downforce over the outgoing Aventador, depending on which angle of attack it is set to. While the carbon monocoque chassis construction has been retained, Lamborghini has been busy updating the suspension setup on the Aventador S, with the biggest change coming at the rear. At over a tonne-and-a-half, the Aventador S is hardly featherweight but, with the a new rear-wheel steering system (as seen on Porsche’s top-of-the-range 911s) Lamborghini aims to aide its new supercar’s low speed agility while providing a more stable platform should you ever feel tempted -and have the budget – to explore the upper echelons of the car’s performance. Inside the latest Lamborghini’s cabin, the Aventador S gains a new TFT digital dashboard which can be used to customise the new ‘Ego’ drive mode (yes, they really called it that). Alongside the regular ‘Strada’, ‘Sport’ and ‘Corsa’ modes, the ‘Ego’ setting allows you to independently tune a myriad of options, from the behaviour of the electronic stability system to the ride comfort, perfecting the Aventador S’s demeanour on your favourite roads. Pricing for the new Lamborghini Aventador S starts at £225,955 ($421,350 in the USA) and we can’t wait to get our hands on one. Hey Lambo, call us.